APPEALS Criminal Family Law Civil Post-Conviction - Ross Keene Law, P.A. For almost 25 years Mr. Keene has been engaged in state and federal appellate court practice, representing clients in all areas of family law, criminal, and civil appeals. Whether seeking to preserve a victory or challenge an unfavorable trial court judgment, verdict or ruling, Mr. Keene is respected by his peers as an experienced and highly effective appellate advocate. He has appeared before numerous federal and state appellate courts throughout the United States, including the U.S. Courts of Appeals for the 7th and 11th Circuits, the Florida Supreme Court, Florida’s First District Court of Appeal, and other state appellate courts in Illinois and the District of Columbia. 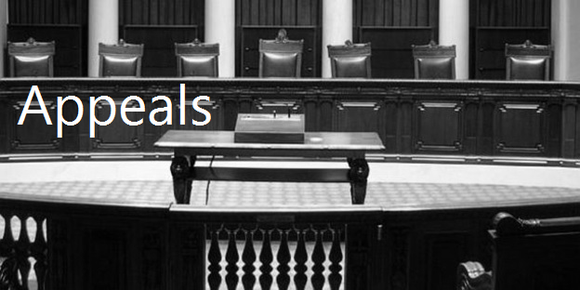 Mr. Keene’s appellate practice encompasses numerous substantive areas of the law. Mr. Keene has represented clients in all areas of criminal law, including but not limited to appeals involving complex racketeering and fraud, white collar, murder and manslaughter, vehicular homicide, internet crimes, narcotics and narcotics conspiracy, and sentencing issues. Mr. Keene also represents clients in “original proceedings” involving writs of mandamus, prohibition, certiorari, and habeas corpus, as well as post-conviction proceedings on the federal and state level. Mr. Keene also represents clients in all areas of family law appeals. This includes direct and interlocutory appeals of final and temporary orders in dissolution of marriage, modification, timesharing, equitable distribution and asset protection involving non-marital assets, child support, domestic violence, dependency, and other family law orders. In any appellate matter, thorough research and clear legal argument is crucial. Mr. Keene is a persuasive brief writer and presents concise and compelling legal briefs. He knows what questions to ask, which arguments to pursue, and which facts are important in order to present the strongest argument on appeal for his clients. Winning a difficult case on appeal requires more than citing the right legal precedent. It requires a balanced approach to brief writing that combines persuasive argument with legal authority. Whatever the issue, Mr. Keene briefs his cases in a persuasive and readable manner carefully adapted to the court before whom the appeal is pending. One of Mr. Keene’s strongest attributes as an appellate attorney is his extensive oral argument experience before state and federal courts of appeal. Early in Mr. Keene’s career he conducted his first oral arguments in Chicago before the U.S. Court of Appeals for the 7th Circuit and the Illinois Appellate Court, First District. Since that time Mr. Keene has argued before many federal and state appellate courts, including the U.S. Court of Appeals for the 11th Circuit in Atlanta, the Florida Supreme Court, and extensively before Florida’s First District Court of Appeal in Tallahassee, the Court handling direct appeals from Circuit Courts in the Florida Panhandle. Mr. Keene also provides strategic counseling and advice to trial lawyers during trial court proceedings regarding possible issues to be appealed. He is also frequently consulted by trial lawyers to ensure that arguments and issues are properly preserved for appeal. Combining this knowledge and experience, Mr. Keene provides a realistic assessment of the merits of your case, taking into consideration the facts in relation to the prevailing law and legal standards of review utilized by appellate courts.